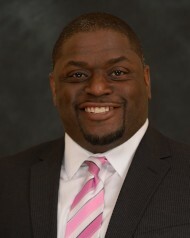 Michael K. Harrell, of Harrisburg, is the founding and Managing partner of M.K.Harrell, LLC, a local small business focused on talent acquisition, consulting, diversity and inclusion, as well as health and wellness product distribution. Michael brings over 15 years of experience in the field of talent acquisition, staffing, human resources, sales, and consulting to the Foundation. During his career, Michael has obtained invaluable experience and earned various accolades (Recruiter and New Account Manager of the Year, etc.) from small, local companies to national brands such as TEKsystems and Microsoft. He has held various titles from Professional Recruiter and Business Delivery Manager to Sr Talent Acquisition Consultant. Michael credits his parents with instilling in him an entrepreneurial spirit and knack for relationship building as he grew up in Philadelphia and Williamsport. Michael’s passion for diversity and inclusion was evident during his time at King's College, where he completed his Bachelor of Science in Human Resources Management with a minor in Psychology in 2002. At Kings, Michael was president of the multi-cultural club, a member of the intercollegiate leadership council, and the creator of the 1st ever Multi-cultural/HRM internship. An advocate for social justice and a lover of history and museums, Michael enjoys spending time with his family: wife Erin, daughter Holland, and sons Micah and Deacon.